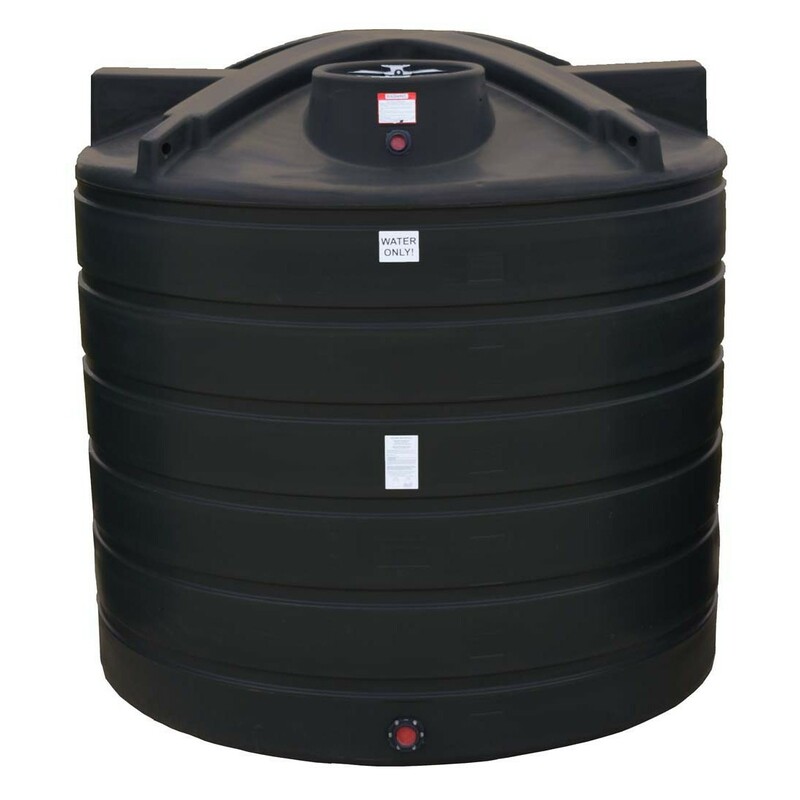 Enduraplas 3100 Gallon Vertical Water Storage Tank, part# TLV03100B is a black stationary water storage tank. This vertical water storage tank is used in a variety of water storage applications such as rainwater collection, well water storage, fire suppression, and bulk water delivery storage. The Enduraplas 3100 gallon vertical water storage tank has a specific gravity rating of 1.1, making it safe for potable water storage. It features a 16" threaded vented manway, 2" polypropylene female npt bulkhead fitting inlet, and 3" polypropylene female npt bulkhead fitting outlet. Enduraplas backs their vertical water storage tank with a 5 year manfuacturer warranty. Additional fittings and customization options are available. 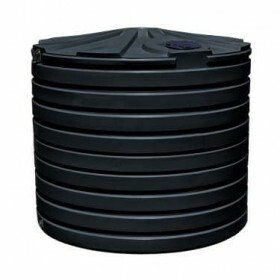 This plastic vertical water storage tank is available in sizes ranging from 100 to 10,000 gallons.